Ramin Guluzadeh has been appointed First Deputy Minister of Communications and High Technologies by order of Azerbaijani President Ilham Aliyev dated November 25, and he was entrusted with the duties of the Minister. Under another presidential order, Iltimas Mammadov was dismissed from the post of First Deputy Minister of Communications and High Technologies, and was appointed Deputy Minister. Newly appointed First Deputy Minister of Communications and High Technologies and Acting Minister Ramin Guluzadeh was introduced to the staff of the Ministry. Note that Ramin Guluzadeh was born in 1977 in Baku city. 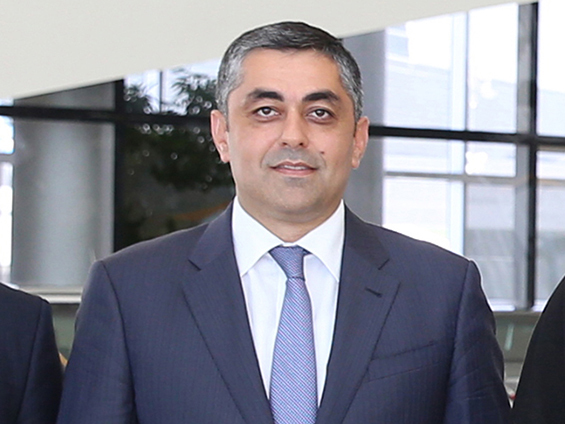 He graduated from Azerbaijan State Economic Institute in 1999, received Master’s Degree from the said institute. In 2005-2015, he worked at Heydar Aliyev Foundation. He was awarded Tereggi (Progress) Medal in 2014, by order of the President of the Republic of Azerbaijan for his active participation in preserving and popularizing the nationwide leader Heydar Aliyev’s heritage.